Obverse: Doubled right 8 & Profile. Reverse: High O, 2 Die Scratches on left Wing. Die Marker- Heavy polishing line at bottom of "T" of LIBERTY. Comments: "Bucket Collection" coin. 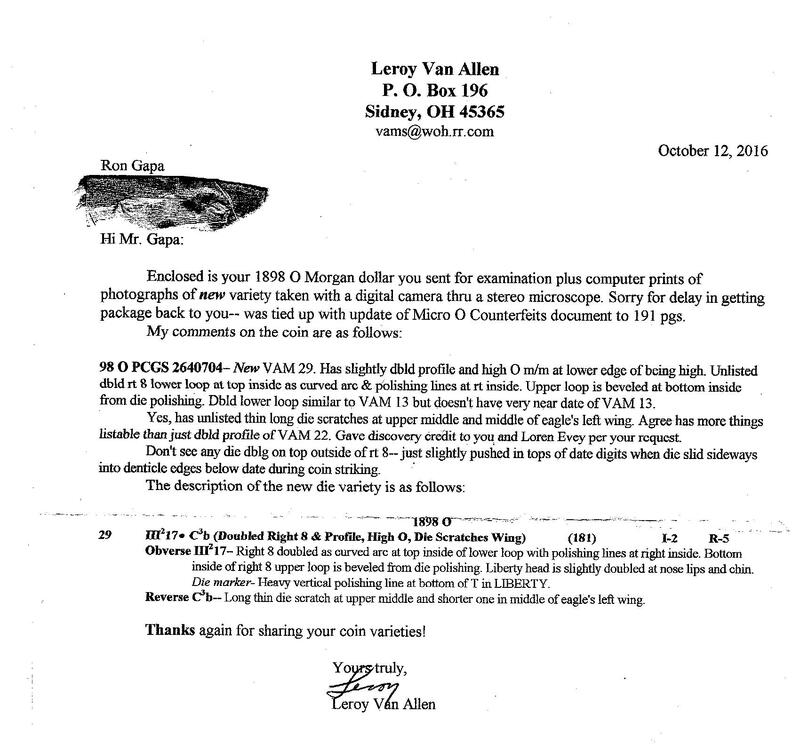 UPDATE: 10/17/16 NEW VAM V-29. THX DC !! LVA Discovery Letter.